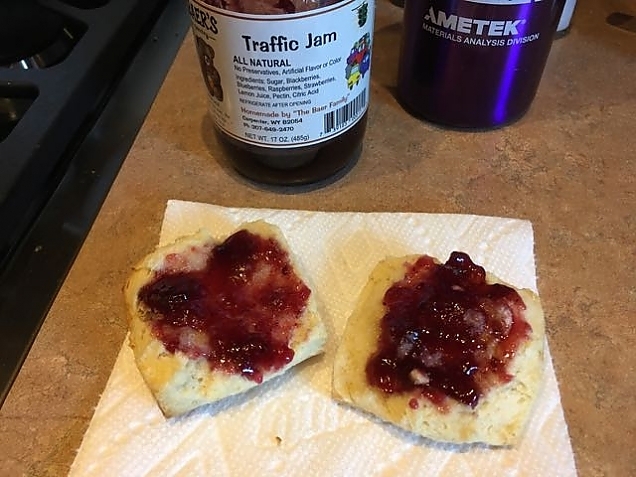 I love a fresh, hot biscuit slathered with butter and topped with jam for breakfast. But, making fresh biscuits has always been a struggle for me. Even after all the work of cutting in butter, gently working the dough, cutting out the biscuits and baking them, they'd tend to be flat and not as flaky as I like. Then, Lynne pointed me to a recipe for 5-Ingredient Freezer Biscuits and life changed! Biscuit and (local) jam breakfast! You can find the recipe in our recipe database or the original on the budgetbytes.com site. The beauty of this recipe is its use of heavy cream for the fat component, as well as the ease of preparation. I made a batch the other afternoon. I didn't even have to put them in the freezer. Instead I put the freshly cut biscuits on a sheet pan, covered them with plastic wrap, and put them on the front porch. They were frozen solid in a couple of hours. Now, they are in a zip bag in the freezer and all we have to do to have fresh biscuits is take a few out of the freezer and place them on a sheet pan. Preheat the oven. Pop them into the oven for about 20 minutes. 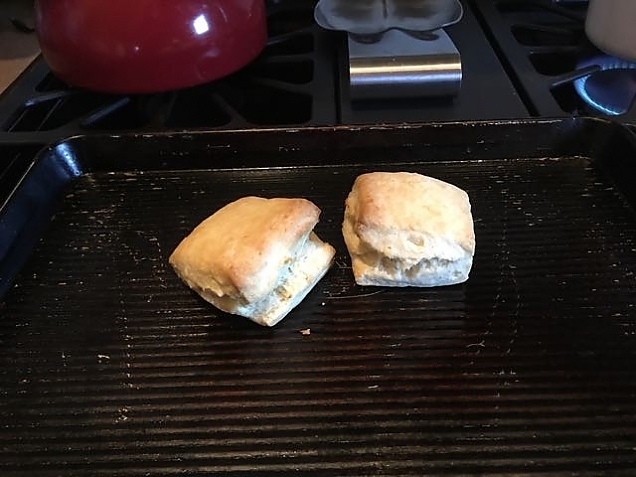 And, we have nice, hot, flaky biscuits for breakfast! 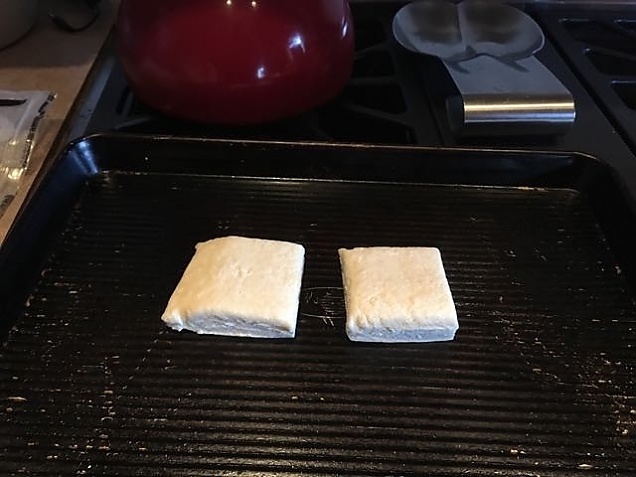 Frozen biscuits, right out of the freezer, on a sheet pan waiting for the oven to preheat. Nice, hot, flaky biscuits right out of the oven.